Kent Whitaker and Sheila Simmons bring you more than 300 favorite recipes that are easy-to-follow and use ingredients that you probably already have in your kitchen. From Beale Street Barbecue Pork Spareribs to Chattanooga Fudge Cake, Grandma’s Onion Soup Meatloaf to Hunka Burning Love Peanut Butter Pie, Brunswick Stew to Blackened Catfish, there are delicious, hometown recipes to please everyone. Tennessee brings to mind music and mountains, history and heritage, bbq and good food – get a taste of it all in Tennessee Hometown Cookbook Tennessee Hometown Cookbook Review When you go out in the market to search for the best Tennessee cookbook, you will find a plethora of choices. You may feel overwhelmed and confused when you realize that all of these Tennessee cookbooks are claiming to provide you the most authentic Tennessee Cooking experience. The worst thing is that most of these cookbooks do not even bother to provide you the correct Tennessee recipes, and let alone providing you the most authentic Tennessee food. Precisely at these times, when you find a fantastic book like Tennessee Hometown Cookbook, you certainly could not believe your luck at first. Yes, finally we have a cookbook in the market that not only provide you the best Tennessee Cooking experience, but Tennessee Hometown Cookbook also enlightens you about the most astounding and interesting facts and traditions about this wonderful state. -What makes Tennessee Hometown Cookbook as the perfect choice for you? If you are looking for cookbooks on Tennessee Cooking, then Tennessee Hometown Cookbook is the best option for you. Authors, Sheila Simmons and Kent Whitaker, have done a superb job by listing some of the most terrific Tennessee recipes in Tennessee Hometown Cookbook. 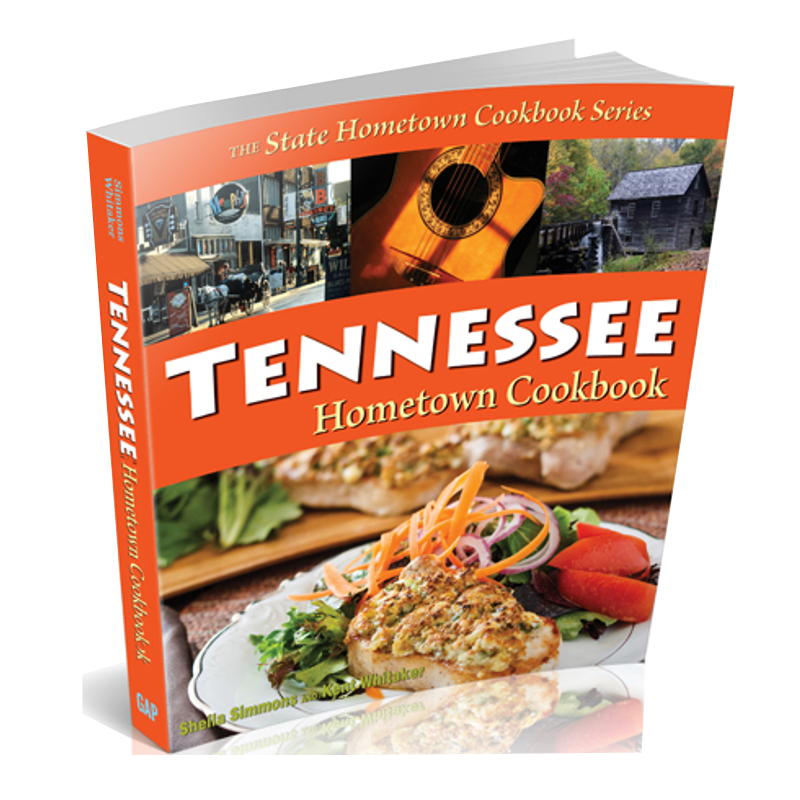 Consider this; Tennessee Hometown Cookbook contains over 300 mouth-watering and delicious recipes. This just means that you can try different Tennessee recipe nearly every day in a year. This is amazing if you also consider the fact that all the recipes are extremely easy to prepare, and you can prepare each and every recipe mentioned in Tennessee Hometown Cookbook with ingredients that commonly present in your kitchens. This is probably the best Eat & Explore Arkansas Cookbook and Travel Guide with real Southern Family Recipes and Festivals. -How Tennessee Hometown Cookbook can help you to prepare most astounding Tennessee food? So, no matter who you want impress with your cooking skills, the Tennessee Hometown Cookbook can prove to be your best partner. Some of the most appetizing and delicious recipes that you can find in Tennessee Hometown Cookbook are; popular Grandma’s Onion Soup Meatloaf, Chattanooga Fudge Cake, Beale Street Barbecue Pork Spareribs, White Hot Fish and Crockpot Brunswick Stew, among others. Apart from these, you will also find some common recipes in Tennessee Hometown Cookbook such as the easiest to prepare Tennessee cookie recipe and outstanding Tennessee bbq recipes. So, if you want to impress your loved ones or guests with some terrific Tennessee cookies or scrumptious Tennessee bbq, you don’t need to go out in search of ingredients, you can prepare these Tennessee food items with the ingredients present right in your kitchen. Furthermore, the interesting facts that you will find in this cookbook about Tennessee food and Tennessee traditions make Tennessee Hometown Cookbook an exceptionally addictive book to read. Also, you will find stories about food festivals that take place here every year such as Tomato Art Festival of Greater Five Point. Whichever recipe you choose to make a terrific impression on your loved ones, with Tennessee Hometown Cookbook, you are guaranteed to master the art of Tennessee Cooking.